Taylor joined The Bensman Group in 2015 as Client Support Specialist in the Individual Property and Casualty department. In 2017, Taylor was promoted to Client Relationship Specialist. In 2018, Taylor was promoted to Personal Lines Manager. 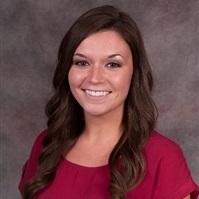 Taylor enjoys assisting clients in all aspects of their Personal Lines coverage. Clients enjoy Taylor’s willingness to help and a friendly personality. In addition to her personal insurance duties, Taylor leads The Bensman Group Community Outreach Team. 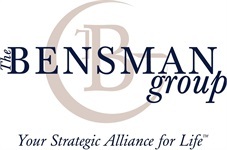 Over the past few years, the group has coordinated many Bensman volunteer efforts; including Bernie’s Book Bank, Feed My Starving Children, a 5K run for Northern Illinois Food Bank, and participating in the Sun-Times Letters to Santa. Taylor graduated from Illinois State University, earning a B.S in Psychology, with an enhancement in Human Resources Management. Taylor has obtained her Illinois Property and Casualty license. Taylor lives in Gurnee, IL. Taylor likes to spend her free time at the gym and hanging out with her friends and family. She also enjoys cheering on the Chicago Blackhawks and the Chicago Cubs.